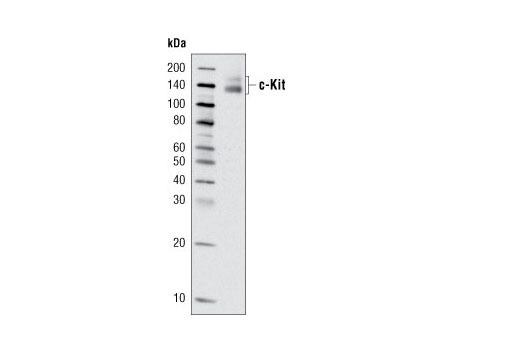 Western blot analysis of an extract from MO7e cells using c-Kit Antibody. Western blot analysis of an extract from Hel cells using c-Kit Antibody. 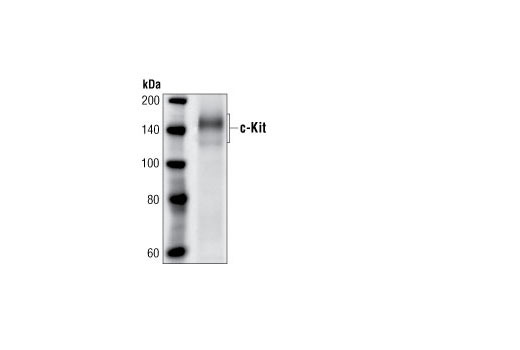 c-Kit Antibody detects endogenous levels of c-Kit. It does not cross-react with other receptor tyrosine kinase family members. Polyclonal antibodies are produced by immunizing animals with a synthetic peptide corresponding to the residues surrounding Met720 of human c-Kit. The antibodies are purified by protein A and peptide affinity chromatography.